What’s the most suitable crushers for crushing pebbles? When crushing pebbles, what crusher is most professional? Nowadays, there are many crushing equipment, such jaw crushers, cone crushers, impact crushers and sand-making machines, but they are different in crushing degree. 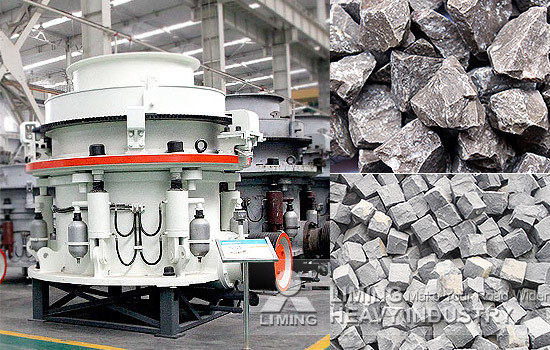 The processed pebbles are widely used in construction, road and mining, aimed at different applications, LIMING Heavy Industry will collocate the right crushing line for you based on your needs and actual site conditions. With more than 30 years experience of innovation and research, LIMING launched whole set equipment for crushing line. Jaw crushers are widely used as primary crushers, or the first step in the process of crushing pebbles. HPT Cone Crusher is a world-level cone crusher introduced the cutting-edge technology of Germany. The cone crusher improves the production capacity and crushing efficiency. It has a great crushing performance in the work of medium-size crushing, fine crushing and super fine crushing. VSI Sand Making Machine uses a unique “rock on rock” crushing method, employing a high speed rotor with crushing chamber of the equipment. Capacity rages from 50 tph to 800 tph, largely meeting your different manufacture requirements. LIMING offers the whole processing solutions more than the single machine, and our professional engineers will design the specific solution best fit for you. Please don’t hesitate to chat with our online service.